Volvo Construction Equipment (Volvo CE) has scooped a top prize at the design industry’s most prestigious awards – yet another success of the company’s unique collaboration with LEGO Technic. 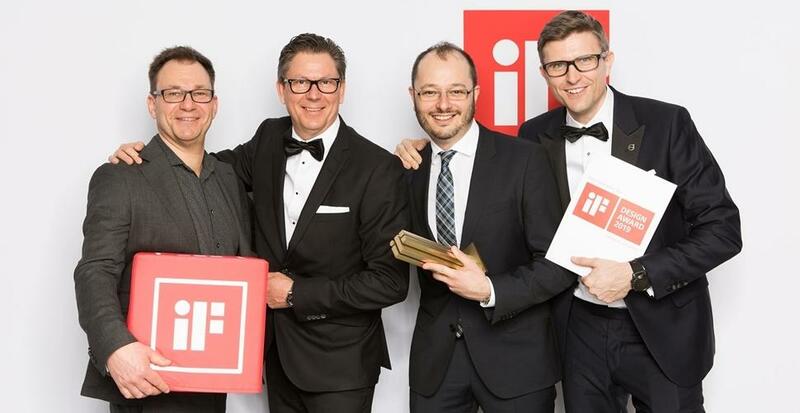 The Volvo CE team with the iF Design gold award (from left) Joakim Unnebäck, Mats Bredborg, Gustavo Guerra and Arvid Rinaldo. One of a handful of gold trophy winners, the concept was picked from thousands of entries placing it among the best of the best in the design world. 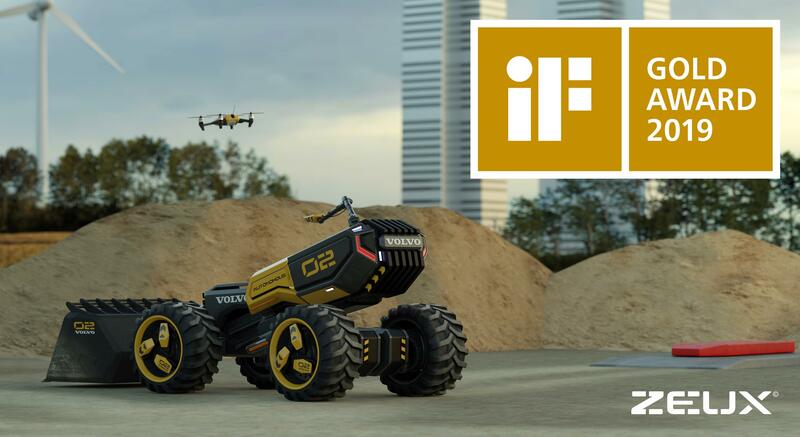 Born from a fully-functioning LEGO® Technic play set created by multi-disciplinary teams from LEGO® Technic and Volvo CE, it has been hailed as a realistic next step in the exciting evolution of construction machines. The winning Volvo Concept Wheel Loader Zeux. The iF Design Awards are now in their 66th year and hold the enviable position of being the oldest and most celebrated design competitions in the world, welcoming more than 5,000 submissions each year from over 70 countries. Volvo CE’s winning entry will be presented in the ‘Design Excellence’ section of the iF World Design Guide, the world’s largest design portal, and will also be displayed at the iF design exhibition in Hamburg this Spring.